Your opponent chooses a personnel. 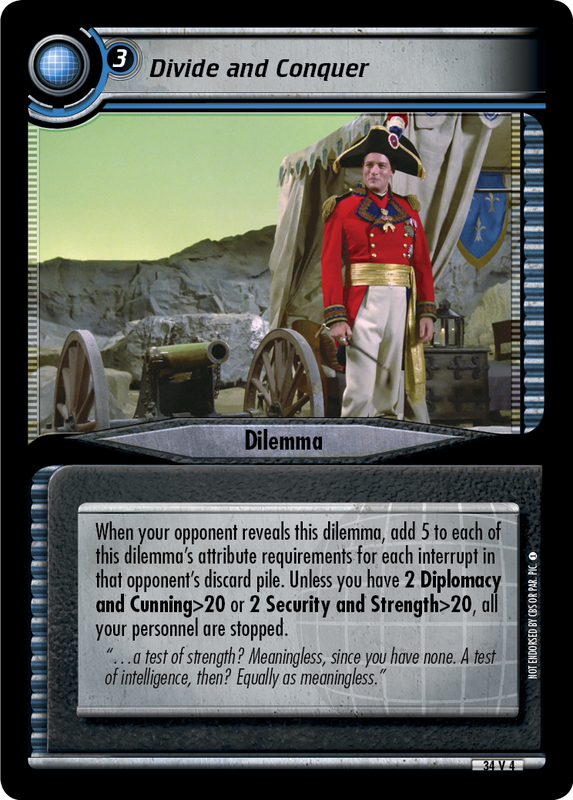 You may replace him or her with a personnel in your discard pile that has at least one of the same skills. 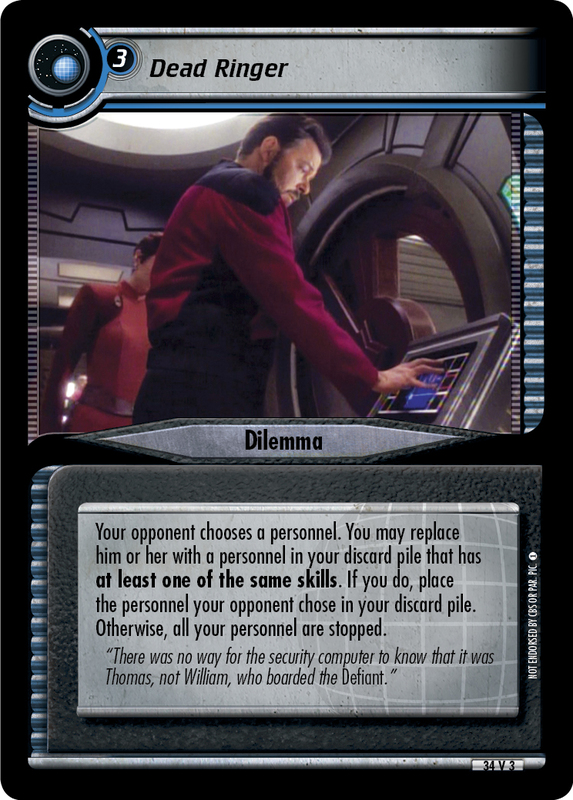 If you do, place the personnel your opponent chose in your discard pile. Otherwise, all your personnel are stopped. 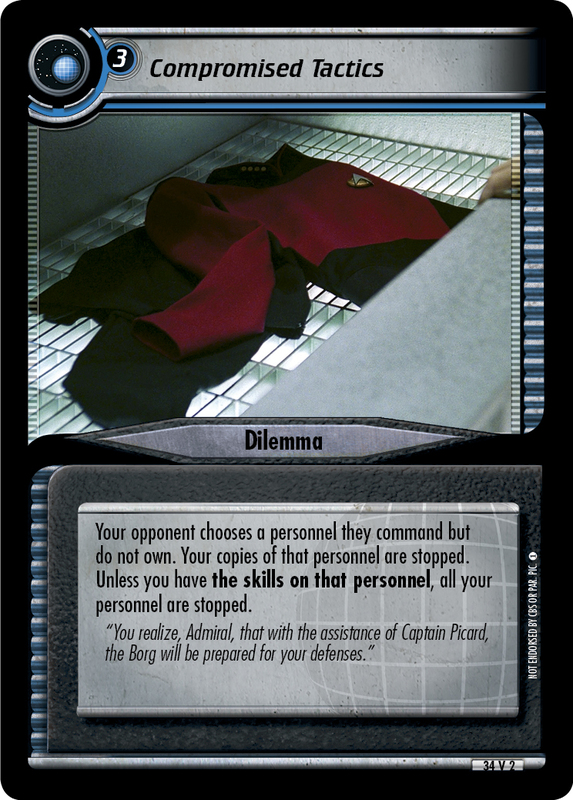 "There was no way for the security computer to know that it was Thomas, not William, who boarded the Defiant."